Pro S800 / Pro S800D / Pro S840 / Pro S845 / Pro S845D / Pro S850 / Pro / S850D / Pro S870 / Pro S870D / Pro S875 / Pro S875D. Toshiba: PA5023U-1BRS PA5024U-1BRS PA5025U-1BRS PA5026U-1BRS PA5027U-1BRS PABAS259 PABAS260 PABAS261 PABAS262 PABAS263. High quality grade "A" cells. Charges quickly. Longer discharge time. 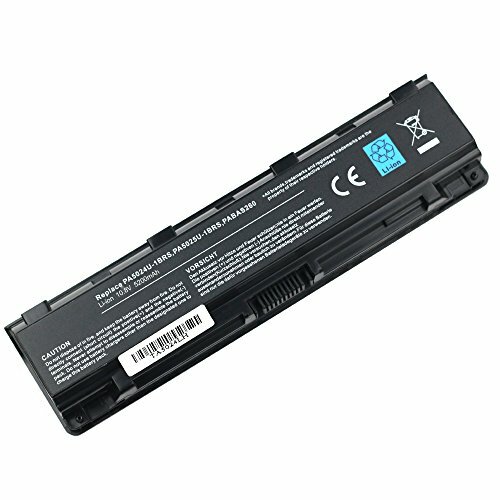 Steady output and low power consumption. More than 500 times charge-discharge cycles.All products are Certified by CE, ROHS,UL1642,FCC for safety. Operation time for standard batteries(6-cell, 5200mah): Around 2 hours, the actual operation time will depend on how much electricity is required by the device and how you use it. 24 x 7 email support, 12-month service.